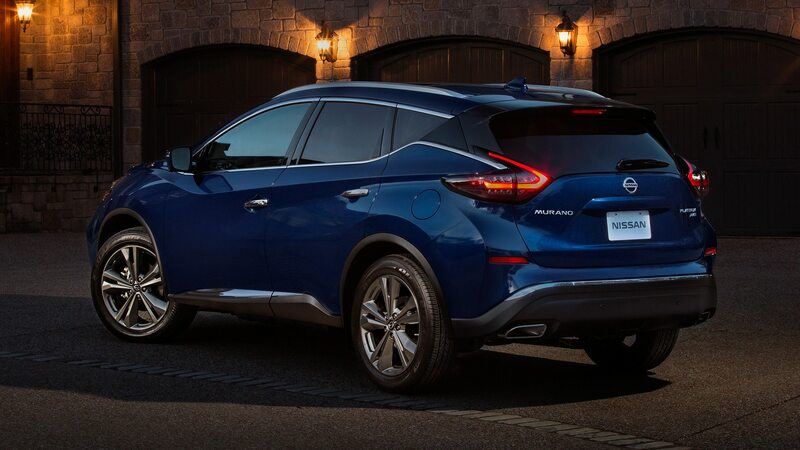 The Murano crossover is one of Nissan’s most popular models, and a cadre of updates for 2019 aims to keep it in the hearts and minds—and, more important, the garages—of SUV shoppers. 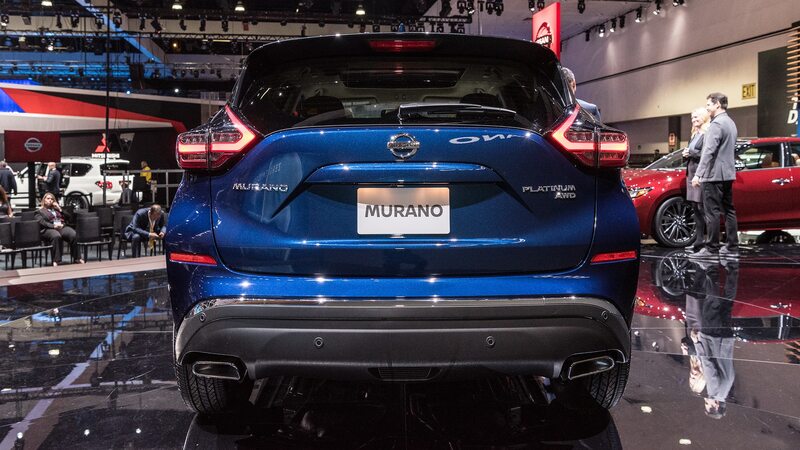 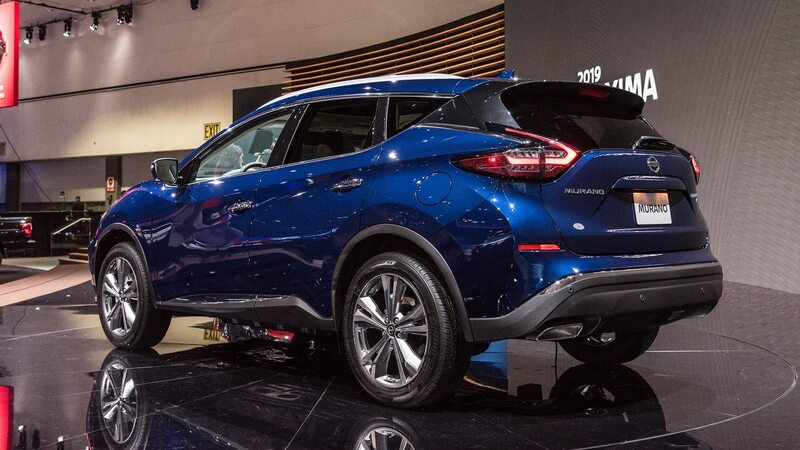 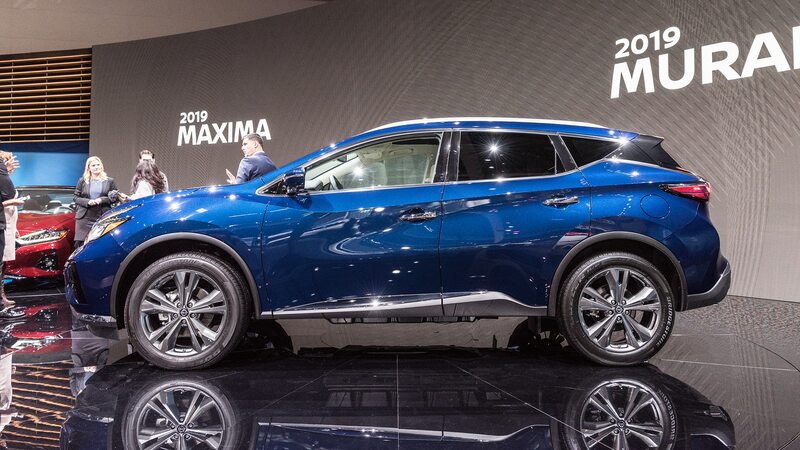 The updates touch practically every aspect of the Murano save for the mechanicals, and the refreshed model made its premiere at the L.A. auto show. 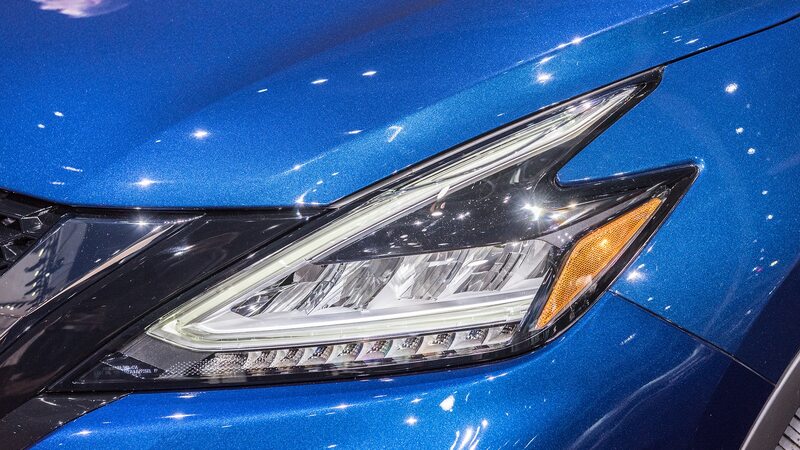 Outside, a larger, more V-tastic grille is joined by reshaped LED headlights and taillights; the adoption of LED fog lamps; fresh 18- and 20-inch wheel designs; and three new paint colors, including one called Sunset Drift Chromaflair, which sounds like a drug we were once offered at Coachella. 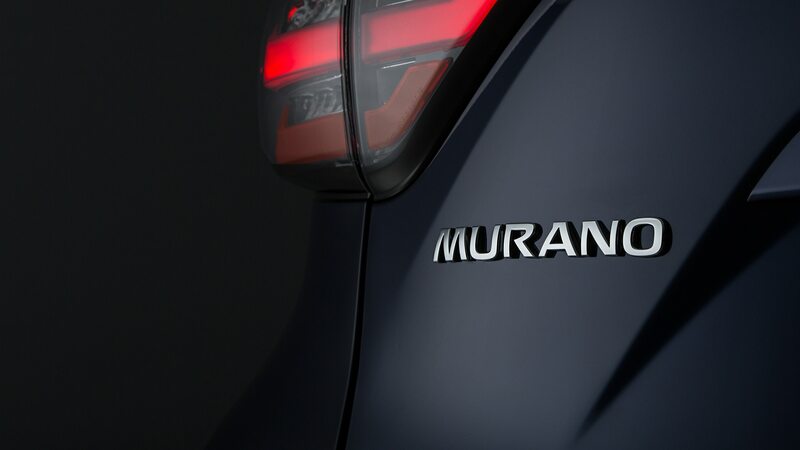 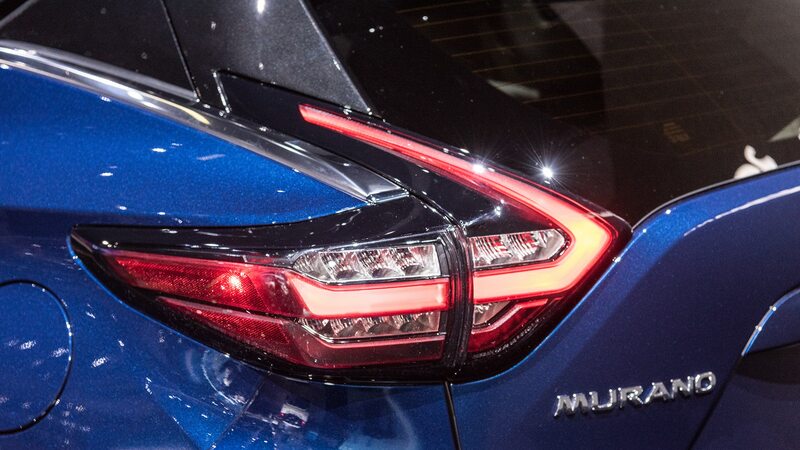 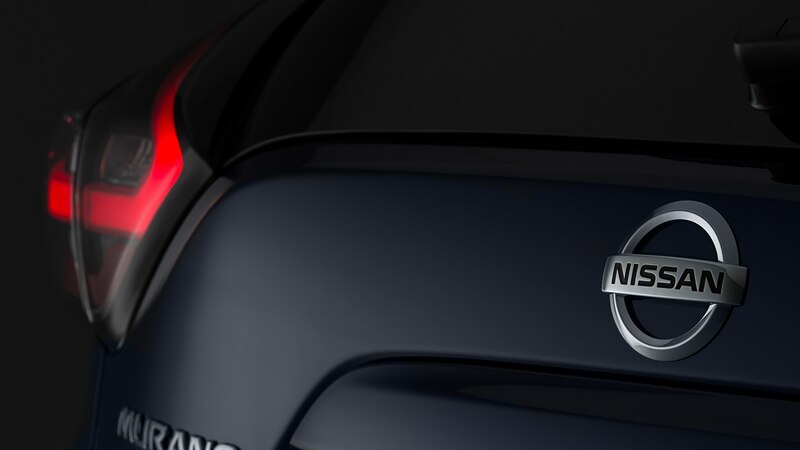 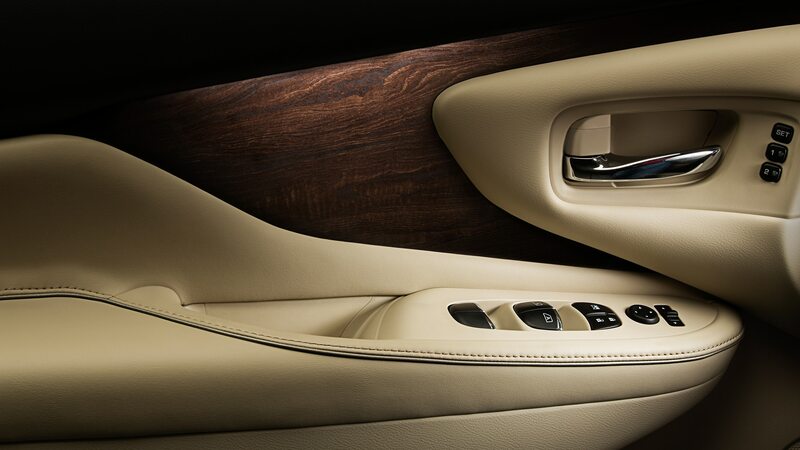 All Muranos get new interior treatments, with S, SV, and SL models offering a choice of light wood or metallic trim and the top-spec Platinum getting an exclusive dark wood look. 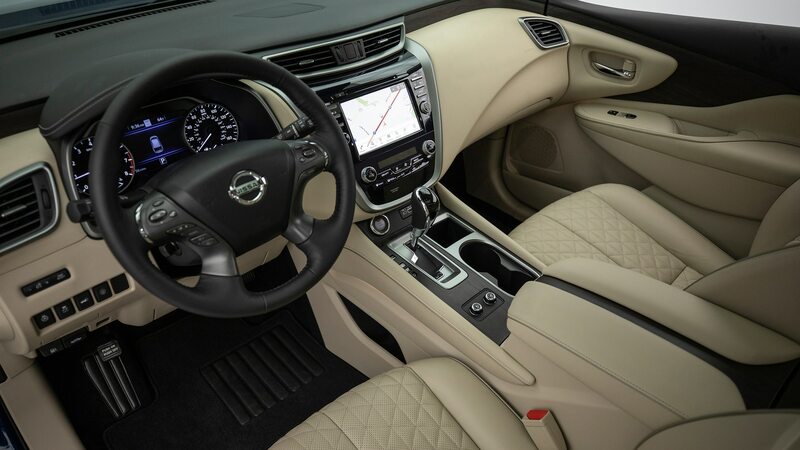 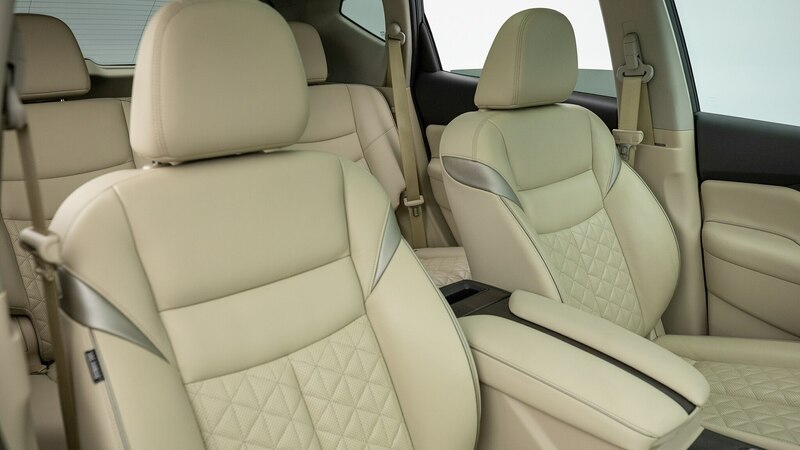 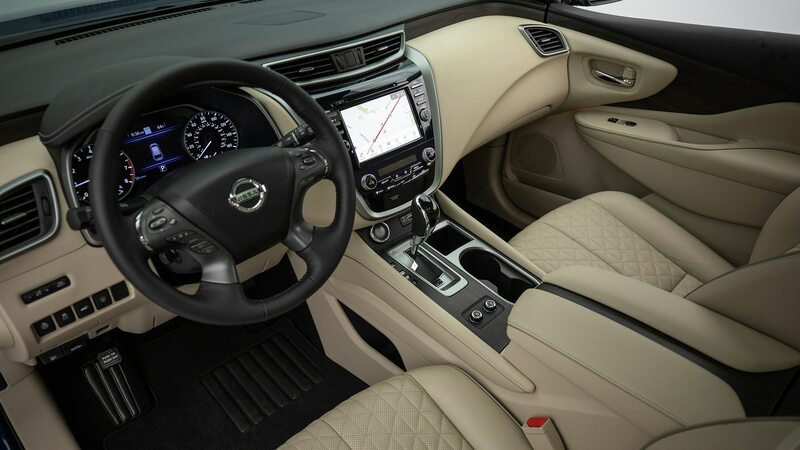 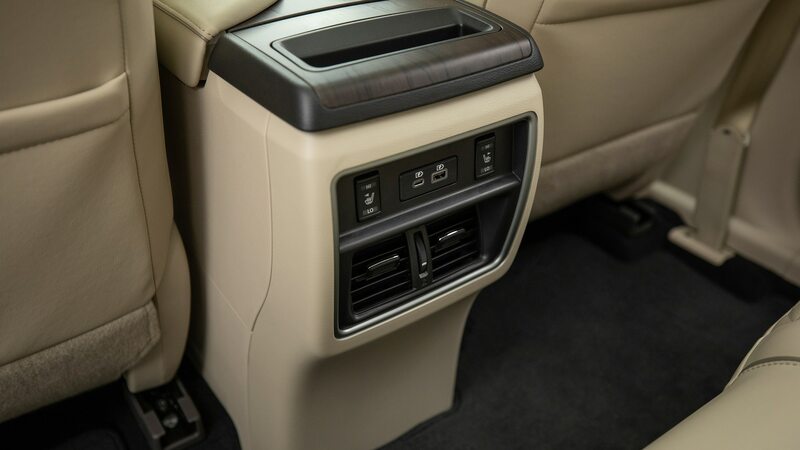 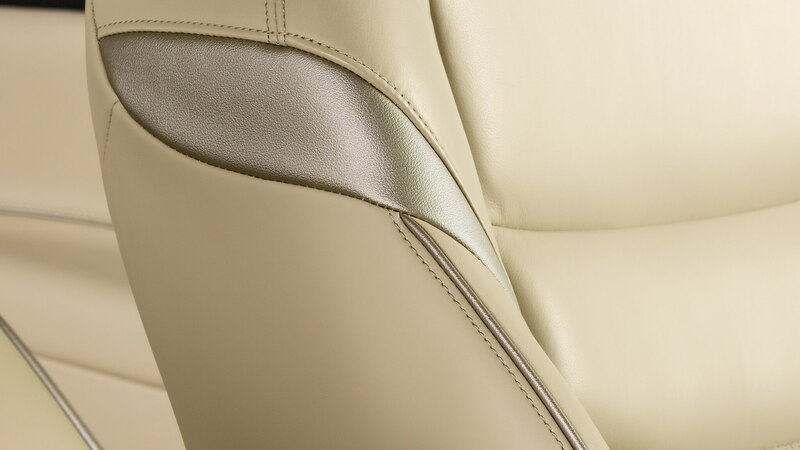 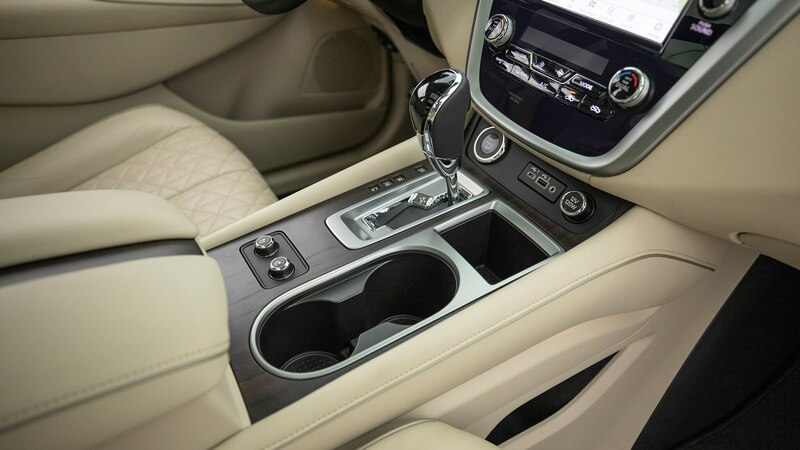 The Platinum also adds quilted leather upholstery with contrasting piping. 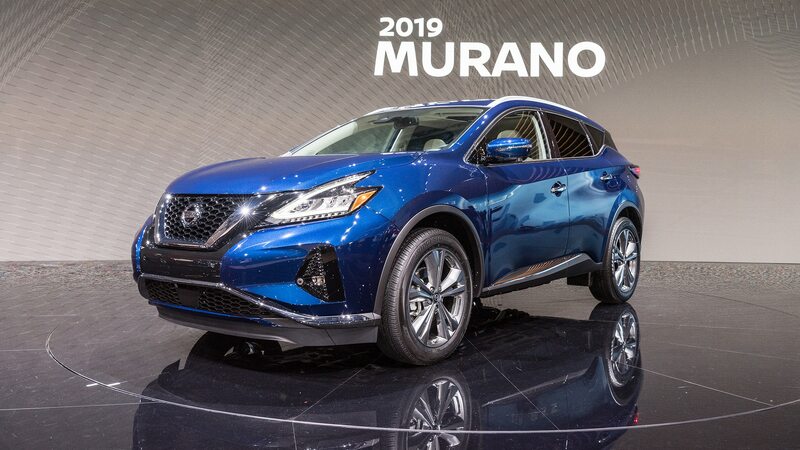 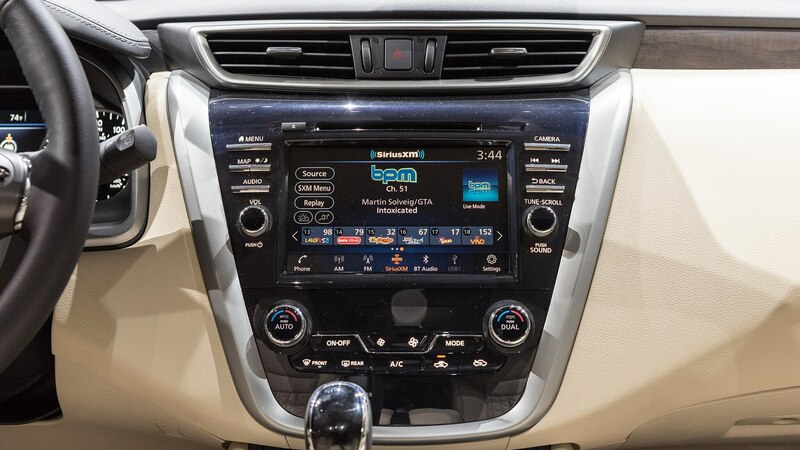 Every Murano has Apple CarPlay and Android Auto, while the SL and above get a revised navigation system as standard that includes 3D and satellite mapping and something called “premium traffic information.” We assume that means it’s accurate. 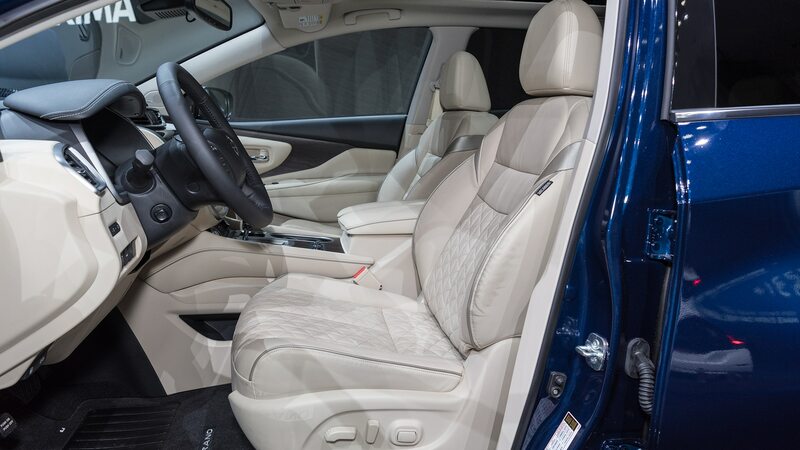 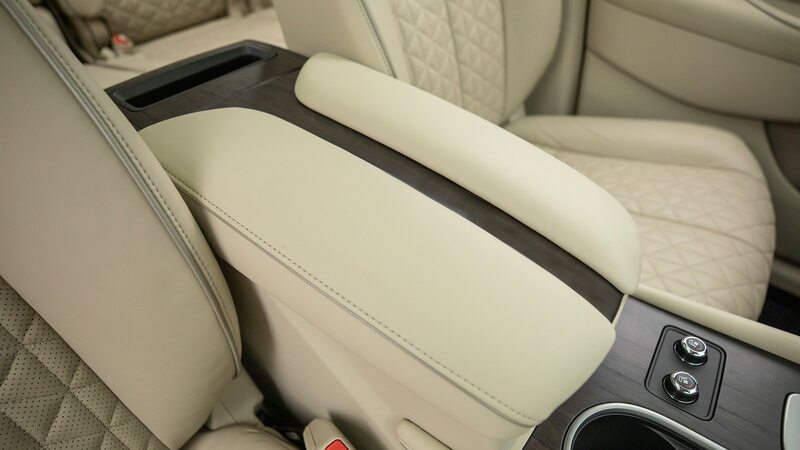 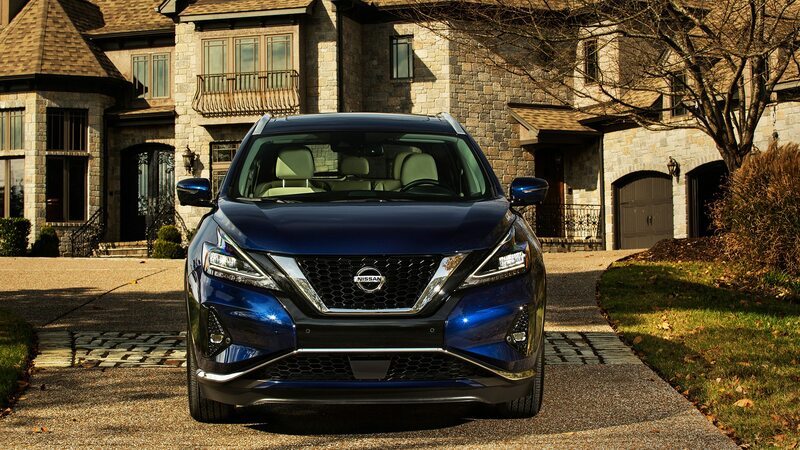 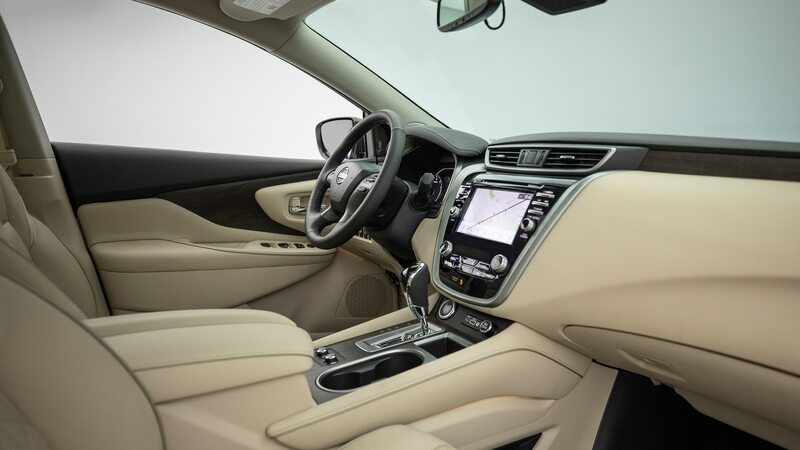 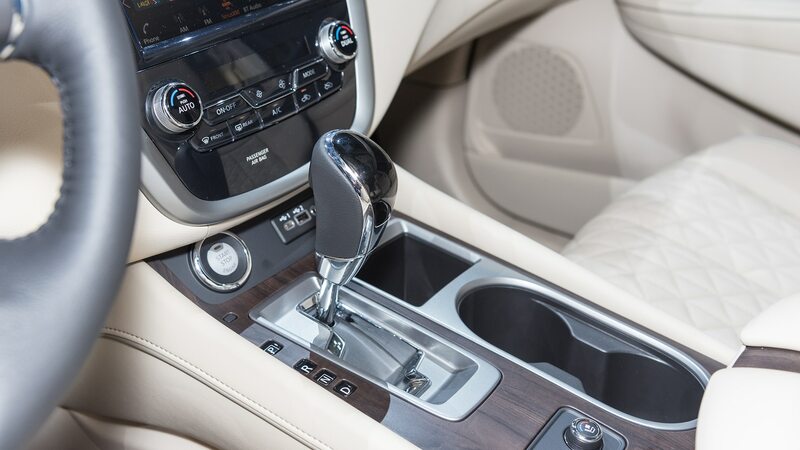 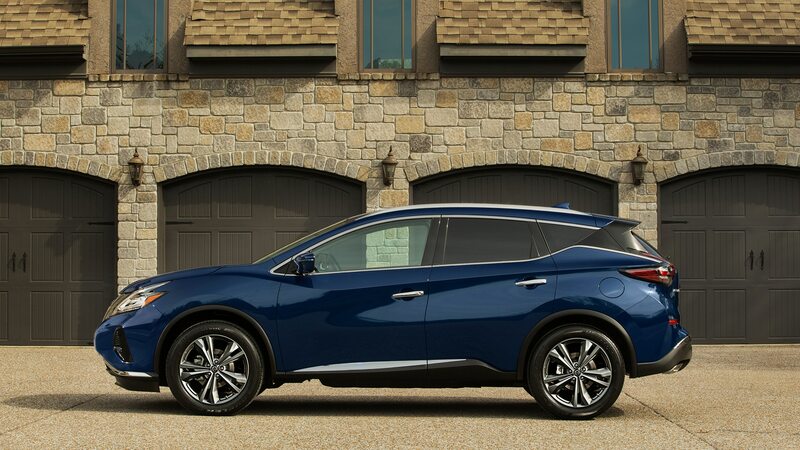 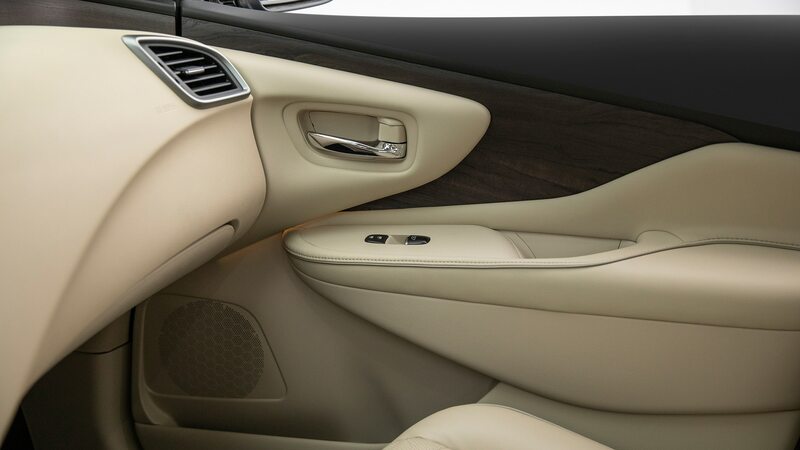 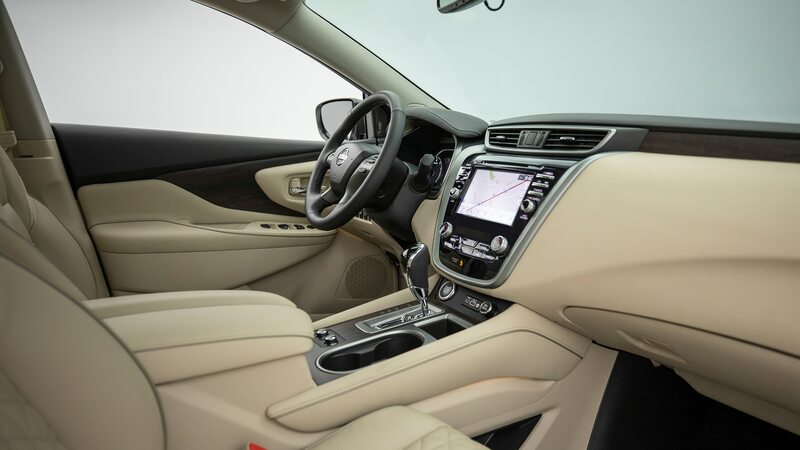 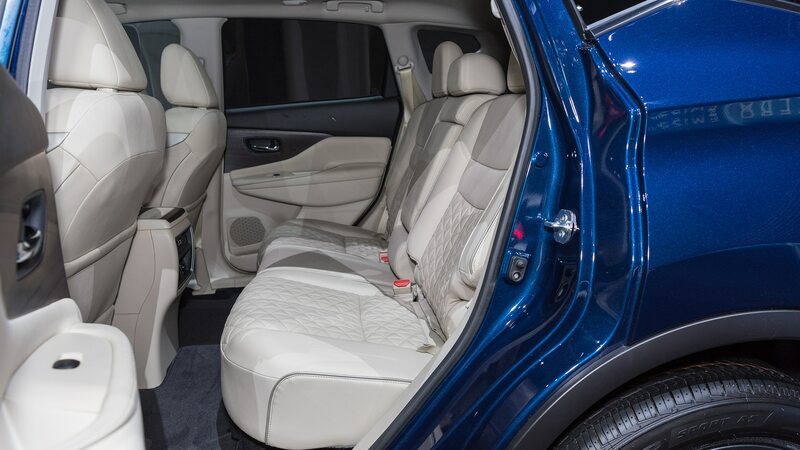 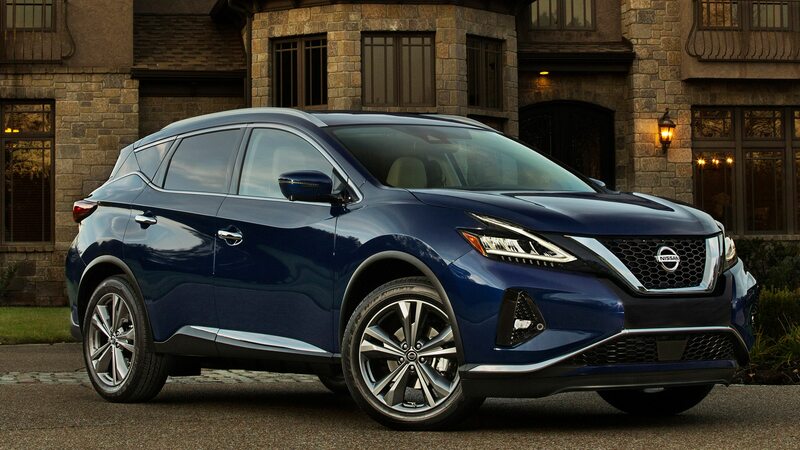 Safety is a big area of focus for the 2019 Murano, and all examples are now equipped with second-row side airbags, a front-passenger knee airbag, and Nissan’s Rear-Door Alert system, which uses a sequence of bings, bongs, and honks to remind drivers they’ve left something in the back seat. 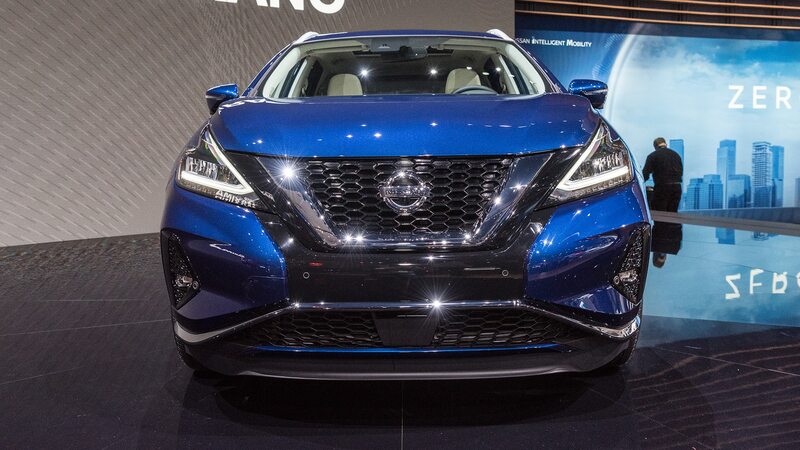 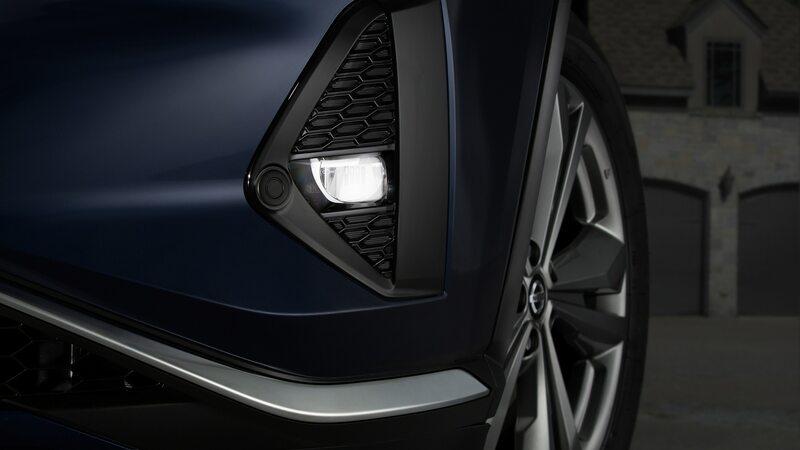 Newly available this year is Safety Shield 360, which combines automatic emergency braking with passenger detection, blind-spot monitoring, rear cross-traffic alert, rear automatic braking, lane-departure warning, and automatic high beams. 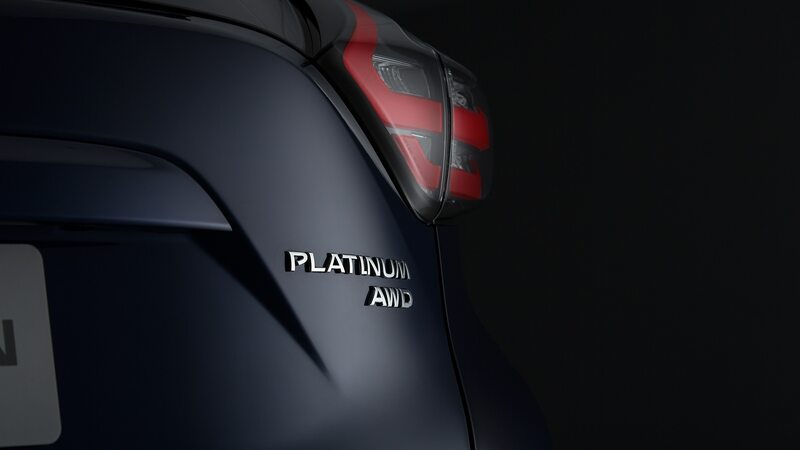 It’s standard on the Platinum and bundled into the SL Technology package, although it would make sense to see Safety Shield 360 at least available on lower trims, given the industry trend toward offering more safety across a broader section of a given lineup. 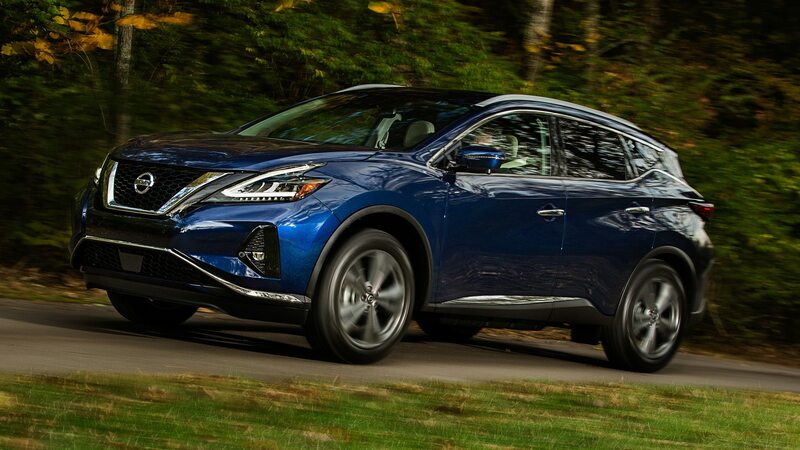 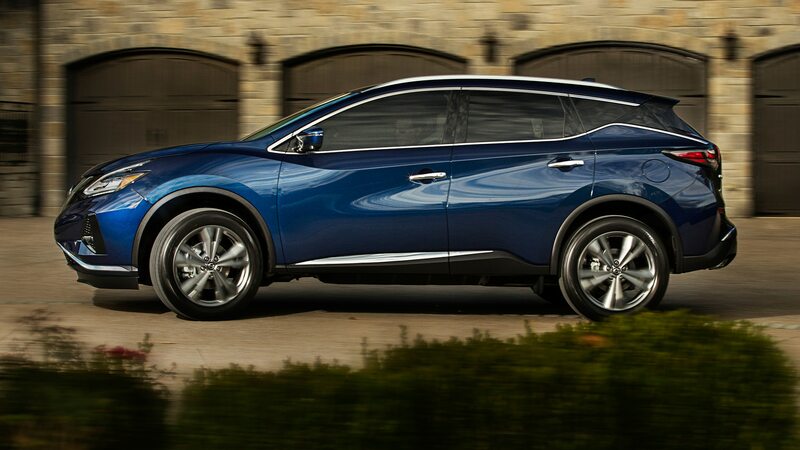 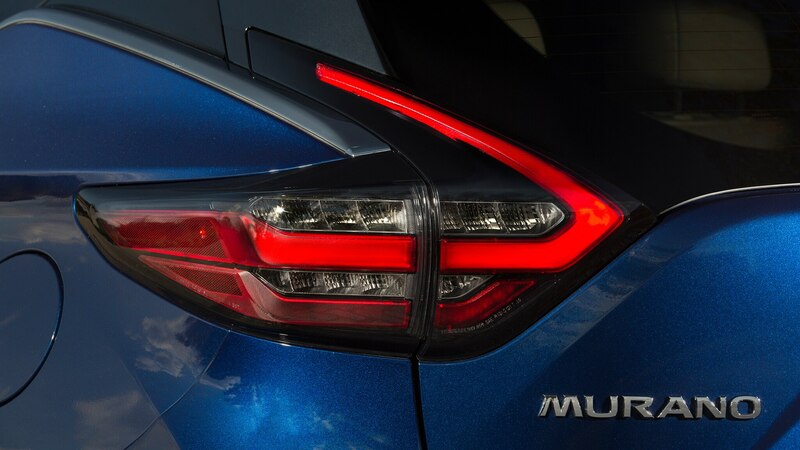 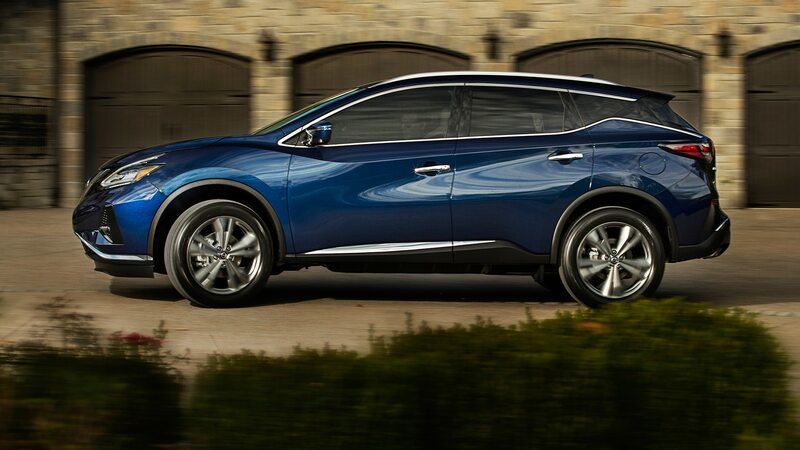 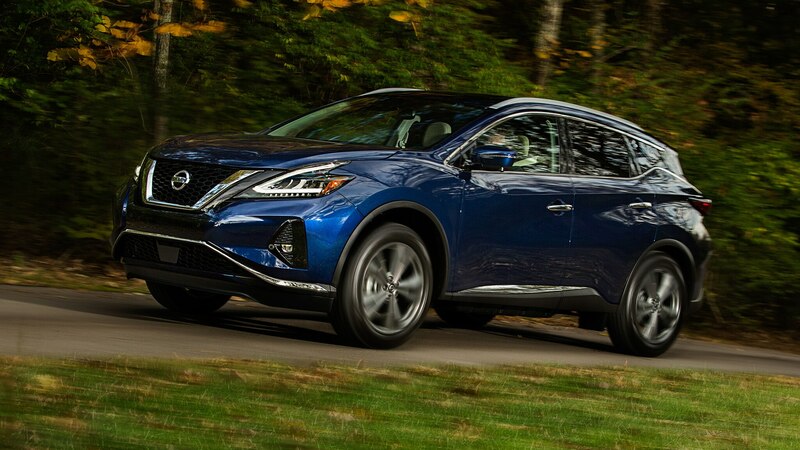 As mentioned, the mechanical package is unchanged and so the Murano moves into 2019 with its same 260-hp 3.5-liter V-6 and CVT. 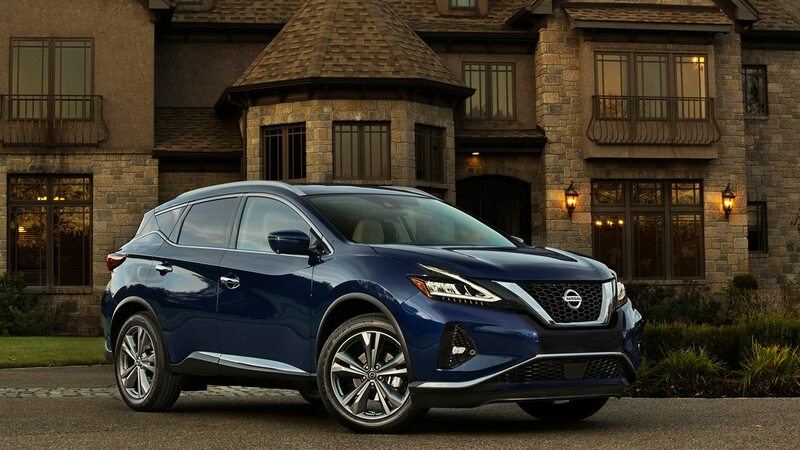 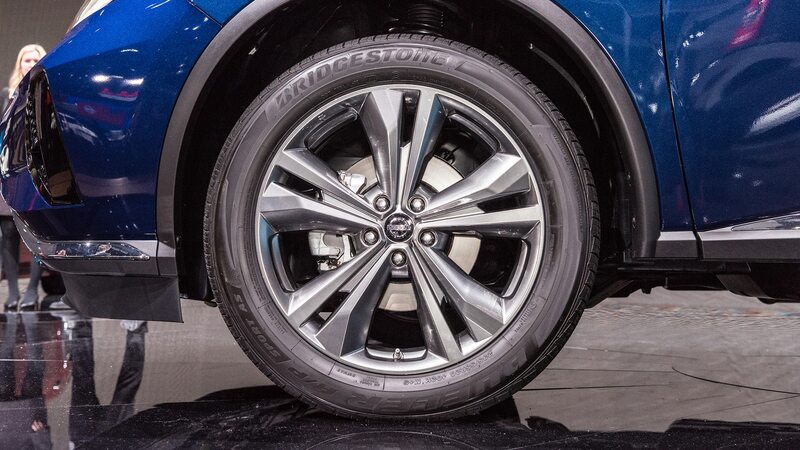 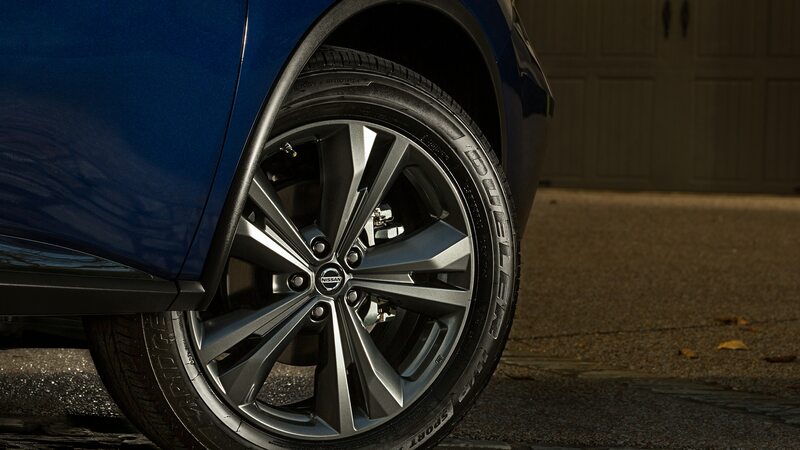 Both front- and all-wheel drive will once again available when the refreshed model hits Nissan dealerships in December. 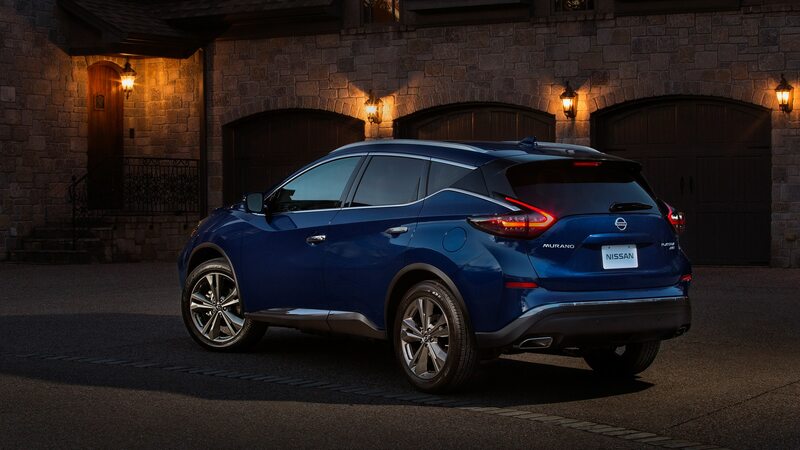 The mainstream crossover for style hounds. 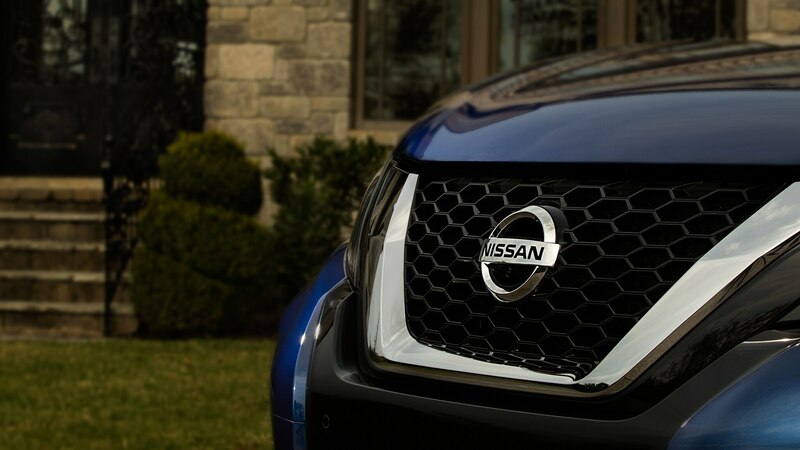 Refresh brings a small price increase.